I would so love these books!! Have a great Friday! I really hope I win these! I hope I win! I am such a bibliophile! I love the rainbow; nice choice! Would love to win this collection! Thanks for the opportunity and have a blessed weekend! I love your book giveaways. Vintage books are what I grew up reading. 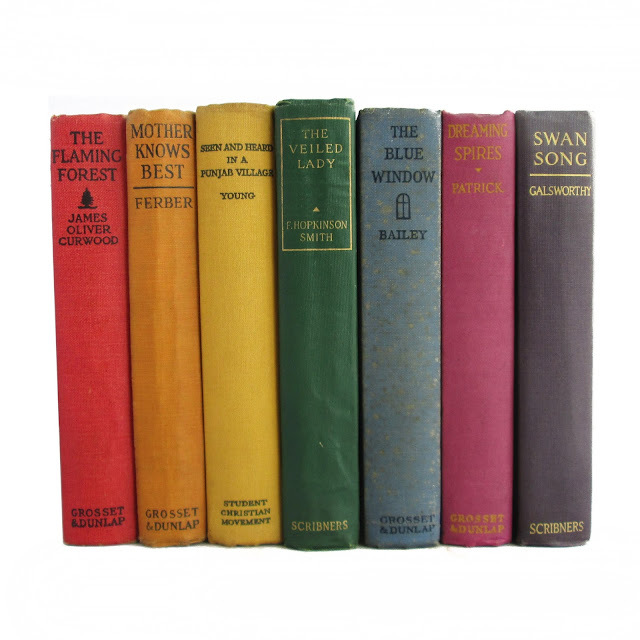 I love vintage books, and these are gorgeous. Thanks for the chance to win. Have a great weekend! Hope to win. That's a great set. I recently discovered your blog and am so enjoying all the finds. Love the chance to win vintage books, too! Thanks! These are nice books ! Thank you ! Who wouldn't want to read Mother Knows Best. I'm intrigued. Interesting collection! I'm wondering in particular what "Seen and Heard in a Punjab VIllage" is about. Looks like a nice set!